Still haunted by nightmares of her mother's death, fifteen-year-old Sienna Jones reluctantly travels to Indonesia with her father's relief team to help tsunami orphans with their post traumatic stress disorder-something Sienna knows a lot about. Since her mother's plane went missing over the Indian Ocean three years before, Sienna doesn't do anything if it involves the ocean or planes, so this trip is a big step forward. But the last thing she expects is to fall for Deni, a brooding Indonesian boy who lives at the orphanage, and just so happens to be HOT. When Deni hears a rumor that his father may be alive, Sienna doesn't think twice about running away with him to the epicenter of the disaster. Unfortunately, what they find there could break both their hearts. A compelling summer romance,�Sea�marks the arrival of a stunning new voice in YA. Imagine, if you will, a book that will melt your heart simultaneously reminding you of a 1940s black and white film, despite it being set in the present. Are you picturing? Picture an exotic location, such as say, Indonesia. Now, add in a large smattering of romance and you have Sea by Heidi R. Kling. 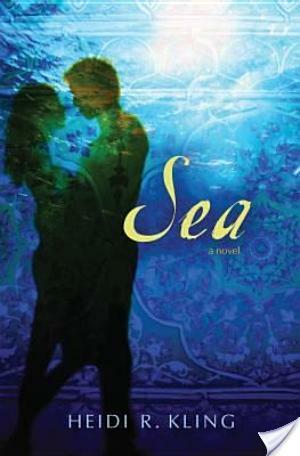 Sea by Heidi R. Kling is a beautifully written story filled with love, longing, and grief. We open with the main character, Sienna’s, birthday. Sienna, Sea, for short, lives with her father in California. Her mother, unfortunately went missing in a plane crash several years ago. On Sienna’s birthday she receives a gift which will allow her to come to grips with her grief and create positive change. She will embark on a life-altering journey to Indonesia to work in an orphanage with her father as part of Team Hope. Oh, what a wonderful, wonderful journey we take. I know I prattle on about the characters in every single review I write, but it’s incredibly important to my reading that the characters aren’t cardboard. Sienna is a multifaceted girl. I found her to be compulsively likable. She deals with so much, yet soldiers on. Something I love about Sienna is that she does not remain hung up on one boy forever. She recognizes we have the capacity to love more than one person in our lifetime. Exactly the kind of message I love to get from a YA book, that perhaps the boy you met over summer vacation won’t be the boy you marry. However, that should not lessen whatever feelings you have towards him. Sienna is not judged or shamed for this, which again, I love. When Sienna is in Indonesia, she meets this boy named Deni. Ya’ll Deni is the picture of awesome. He’s quite different from the boys I have met in other YA books. Culturally, Deni does not act the way American boys do. This is not to denigrate Deni at all, it’s just there are different customs in Indonesia than in America. I loved learning about these subtle differences while reading Sea. Also, Deni is totally Ilsa. If you have seen Casablanca, you will understand. FYI do not click the link if you don’t want the end of Casablanca spoiled. Although the vast majority of Sea by Heidi R. Kling takes place over just two weeks, it felt like a sweet, delicious lifetime. I was absolutely enraptured by the budding romance. I do not say this often, but this is definitely a book to pre-order. I had such a deep emotional reaction to this addicting read. Seriously, I want to discuss it all day. If you have read it, please let me know what you think of this gorgeous debut. "A sweet delicious lifetime"…what a lovely description 🙂 Thanks for the review! I've been waiting impatiently to read SEA — and your terrific review makes me want to read it all the more! Good thing it's almost June…. Fantastic review! I am curious about your Casablanca reference and what it will mean for the story. I loved that movie. I need to see it again 🙂 Thank you for sharing your early review of Sea. It sounds like a must-read! Wonderful review! I am so excited to read this one. I loved tihs one so much. I can't wait to post my review. I. Want. This. Book. That's all.